Say Hello To Moo (131/365 year 3) – Annoyingly Boring? As a result of the party on day 130, we have new addition to the family. 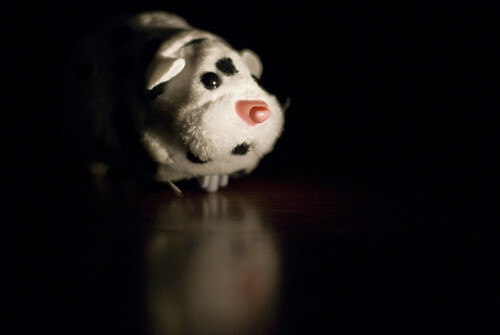 Moo is a Zhu Zhu Pet. So far he’s been quite well behaved.